DINN! with COSTA CROCIERE & STARBOARD Cruise Services - Dinn! 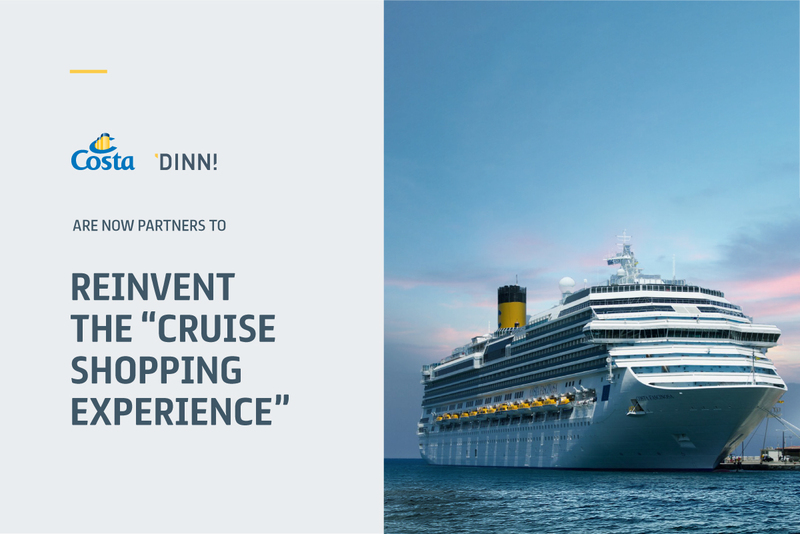 We are glad to announce that COSTA CROCIERE and STARBOARD Cruise Services appointed DINN! to partner with them to re-define the “Cruise Shopping Experience”, a new way to enjoy the retail dimension inside their prestigious ships. Thanks to an international cooperation with Costa Crociere and Starboard (a property of LVMH group that manages the internal luxury stores) we started a challenging project aimed to meet the customers’ needs, defined by Kantar, within the overall amazing experience they will live on board, will be launched at the end of the current year.